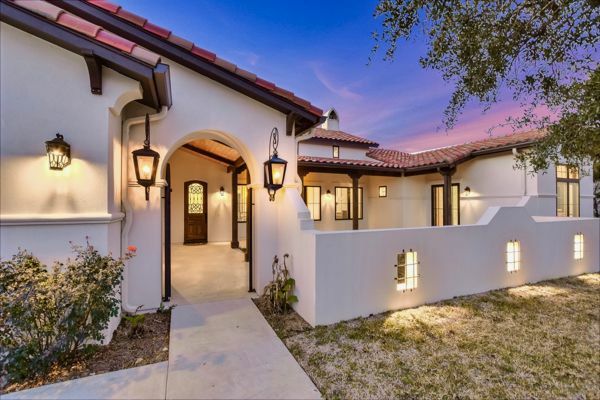 Come escape the hustle and bustle of the city and surround yourself with the beauty, privacy and tranquility that these homes have to offer. Each home is fully equipped with all you need except your personal items. 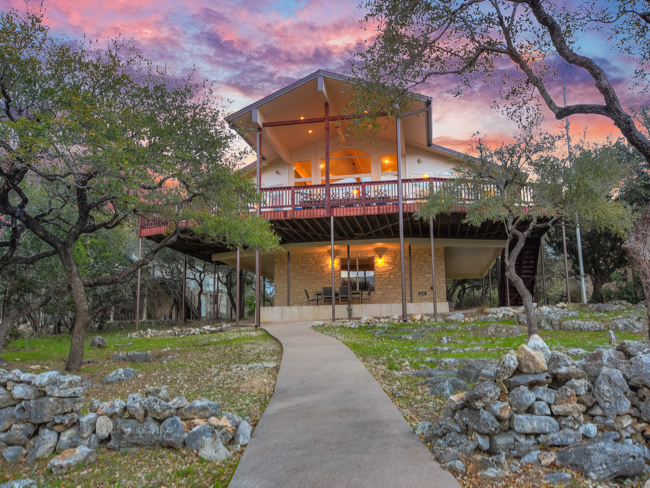 If you love boating, fishing, swimming or just watching a magnificent sunset, one of our homes is your perfect getaway. 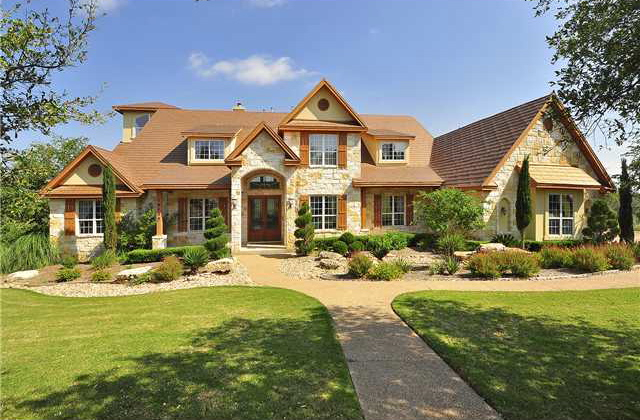 Accommodations: Four bedrooms, 4 1/2 baths with approximately 6000 sq. ft. Sleeps 8. 4 Beds. 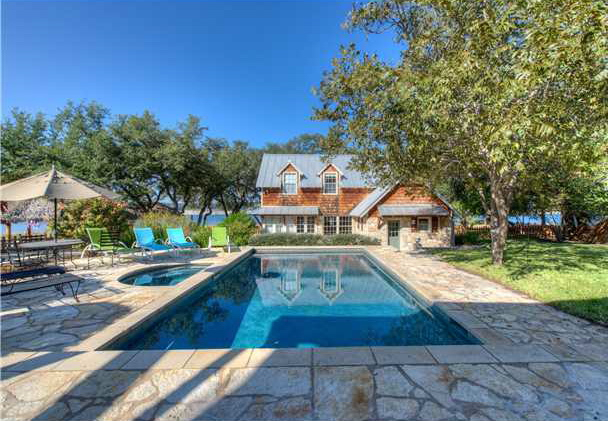 Description: Exquisite home with expansive views of Lake Austin. 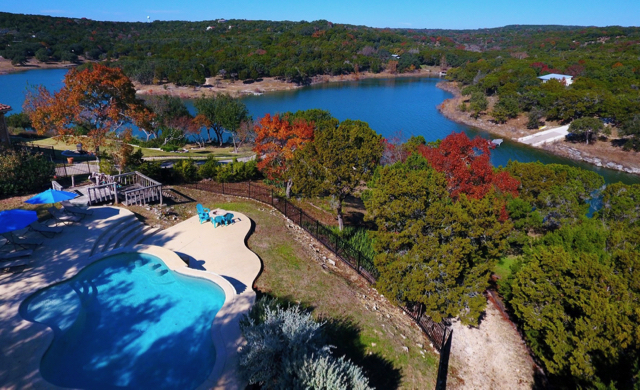 Located on the south side of Lake Travis in Spicewood. 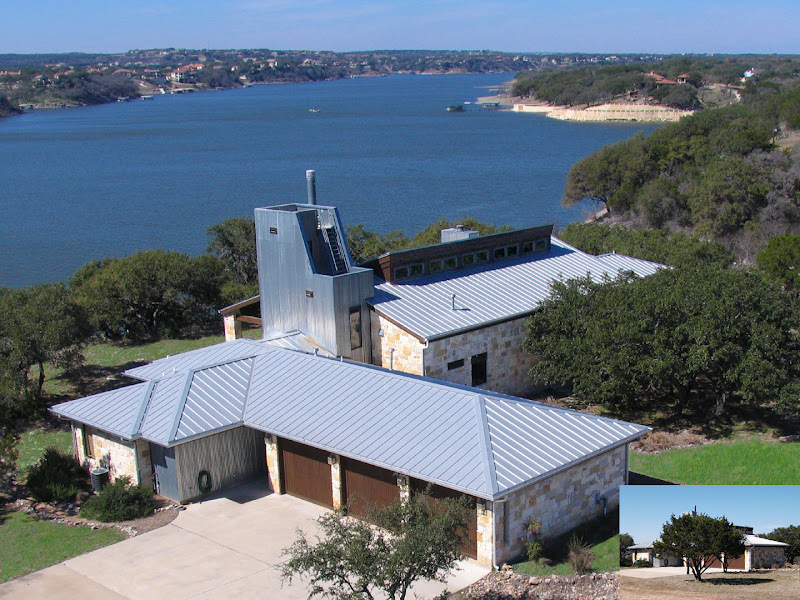 Home is on Milemarker 9 of Lake Travis. Accommodations: 5 Bedrooms, 5 full baths, 2 half baths. Sleeps 16. 5600 sq. ft. 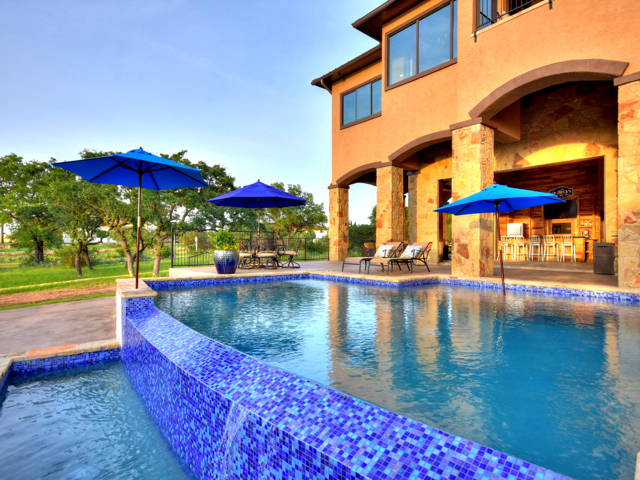 Description: Gorgeous home with beautiful outdoor spaces and an amazing pool. For more information and photos visit Serenity Estate. Accommodations: 4 Bedrooms, 3 full baths, 2 half baths, Sleeps 12. 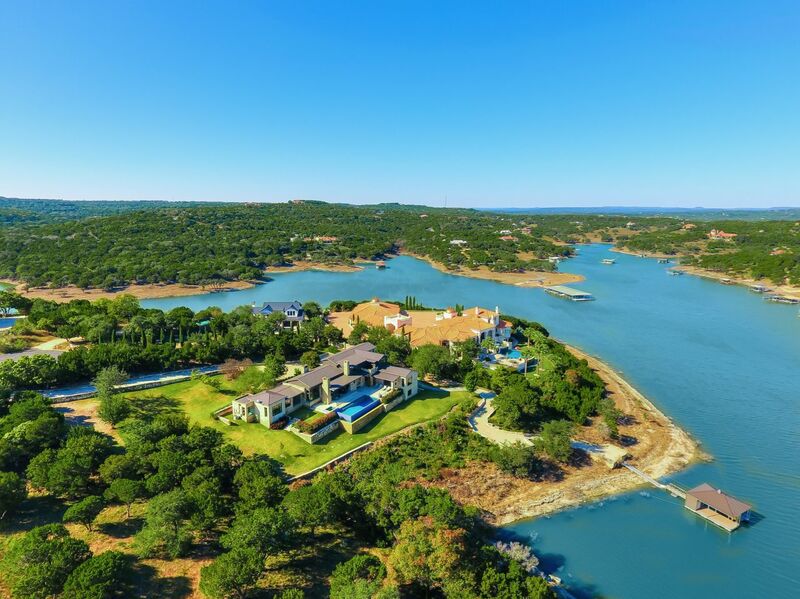 Description: Lake Travis Waterfront Home, fabulous patio with panoramic views, private boat dock and gorgeous pool. For more information and photos visit Gaigerosa del Lago. Accommodations: 4 Bedrooms, 3 baths, Sleeps 14. 2500 sq. ft on 2 acres.. 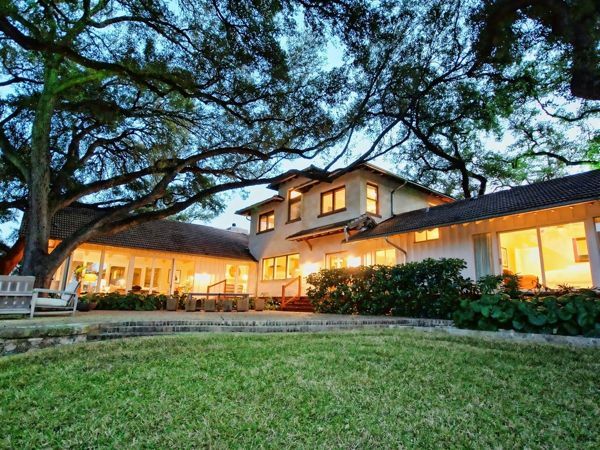 Description: Completely remodeled home with beautiful outdoor spaces, private boat dock and gorgeous pool. A GREAT HOME IS EVEN BETTER!! Same wonderful floorpan and amenities but complete remodel, new kitchen with granite countertops, double oven, two dishwashers, even larger breakfast bar, new cabinetry throughout, bathrooms with new showers, cabinets & countertops, new floors (tile and carpet), new windows. . . .